We at DEN work with projects that really matter and that are among the biggest investments in the lives of our customers. We are an energetic team, the forerunner of our industry and a pioneer. Our common goal is to make DEN the best work community there is – we are striving towards this goal every day! We are constantly seeking motivated self-starters for various interesting positions all over Finland. Take a look at the vacant positions we have or tell us about yourself by sending an open application to people[at]den.fi. We will contact you when we have a suitable position for you! We are DEN! 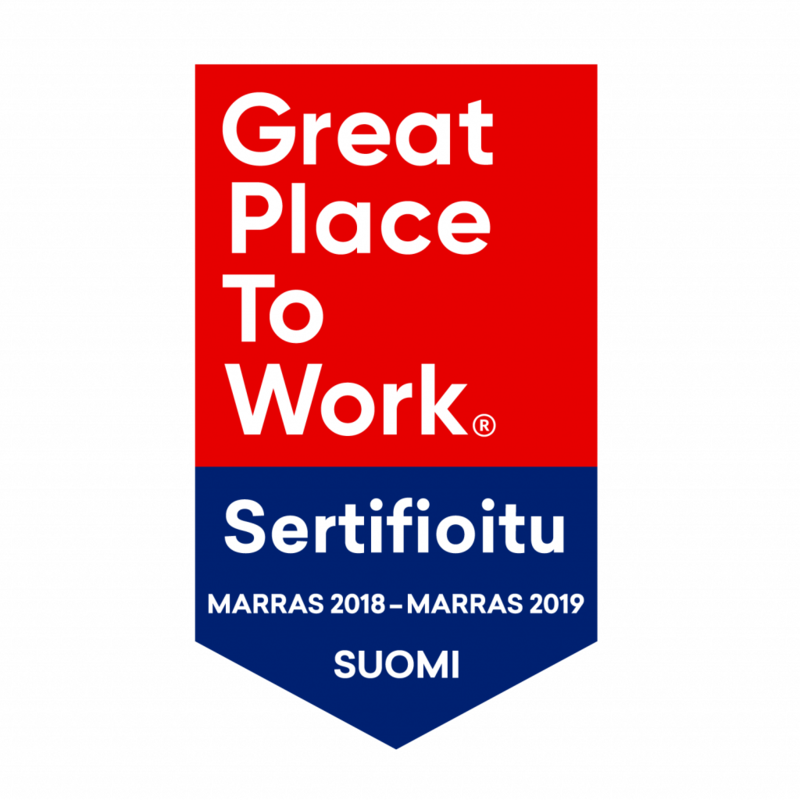 And we are also a Great Place to Work-certified excellent workplace! The Great Place to Work certificate is awarded to organizations with a Trust Index that is above 70. We achieved that already in the first round. The Trust Index score shows what percentage of respondents sees their workplace as either good or very good. In Finnish companies, the average Trust Index score is 56, whereas DEN reached the score of 72. The survey question stating that the workplace is a good place to work overall received an index score of 84 from DEN employees. Our goal is to continue improving and perfecting our ways of working, in an uncompromising and informal way, which is customary for DEN.